It’s easy to make this perennial Chinese takeout favorite low-Gi. 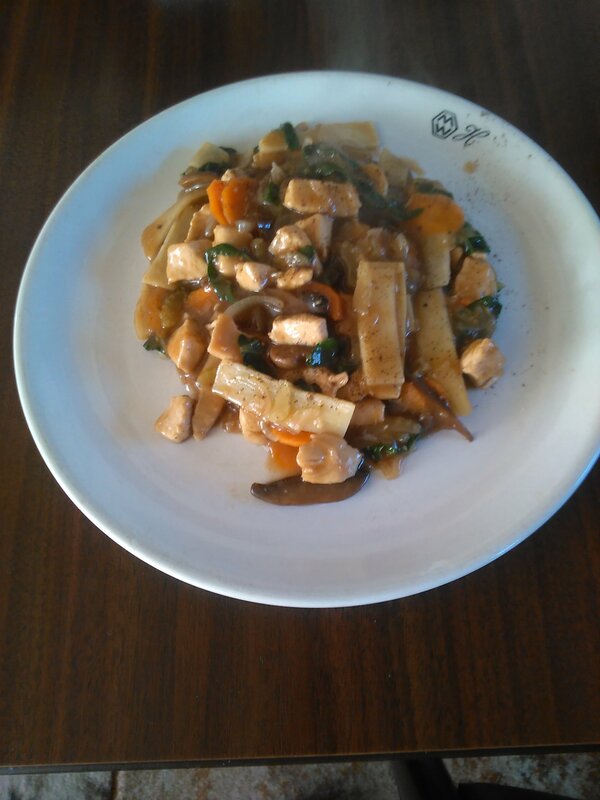 If you prefer, use a can of sliced water chestnuts instead of the bamboo shoots. 1 can sliced bamboo shoots, drained and rinsed. 1. Thinly slice the chicken crosswise into bite size pieces; set aside. 2. In a large non-stick frying pan or wok, heat oil over a medium heat and cook the chicken stirring constantly for about 8 minutes or until golden and no longer pink inside. Remove to a plate. 3. Add oil to frying pan and cook the onions, celery, carrot and mushrooms stirring occasionally for about 5 minutes or until the vegetables are tender crisp. Return chicken to frying pan. 4. Meanwhile, in a small bowl, whisk together the chicken stock, soy sauce and cornflour. Pour into the frying pan along with bamboo shoots and ginger and cook, stirring for about 2 minutes or until the sauce is thickened and bubbly. This soup is the ultimate in comfort food for adults and kids alike. For variety, try it with turkey instead of the chicken. 1. In a stockpot heat the oil over a medium heat and cook leeks for about 5 minutes or until beginning to soften. Add the celery, carrot, garlic, mushrooms, thyme, pepper and salt and cook, stirring for about 8 minutes or until the liquid evaporates from the mushrooms and starts to turn golden. 2. Add the chicken stock and bring to boil. Add chicken and orzo, and cook, stirring occasionally for about 10 minutes or until the chicken is no longer pink inside and the pasta is al dente. Add the spinach and beans and cook until the spinach is wilted and beans are hot. THE FAMILY TRAFFIC LIGHT DIET. HEALTHY, GREEN-LIGHT RECIPES AND LIFESTYLE TIPS FOR YOUR ENTIRE FAMILY. Eating fresh fruit for breakfast gives you a healthy start to the day. 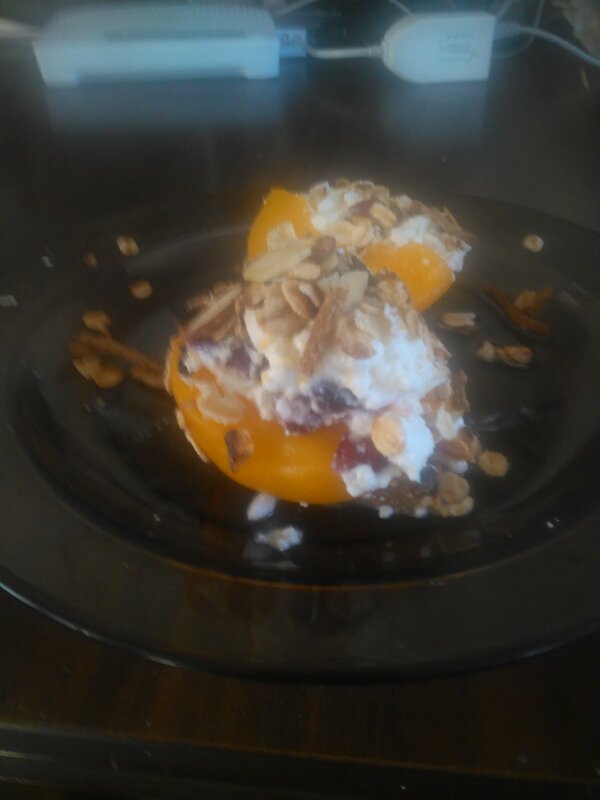 In this dish, peaches are combined with granola and cottage cheese for an additional energy boost. They can be also served cold. In a non-stick frying pan, toast rolled oats and almonds over a medium heat, stirring constantly for about 8 minutes or until golden brown. Place in a bowel. Add bran cereal and set aside. Meanwhile, cut peaches in half horizontally and remove stone. Melt margarine in a large non-stick frying pan over medium heat and place peaches cut side down and cook for about 5 minutes or until starting to soften. Remove to a plate. In a bowl, stir together the cottage cheese, sugar, cranberries and orange rind. Divide evenly among the peaches. Sprinkle with the oats mixture. You can use canned peaches. Omit step 2. Try using pears or nectarines also work well. RED LIGHT FOODS (STOP EATING). Only if over weight.